Up for review today is the Fonseca Classic Lonsdale. Manuel Quesada’s Dominican version of the Cuban counterpart is illustrated in its more classic profile. This vitola in the original Fonesca lineup is blended to deliver a lush creamy smoke for those who enjoy a light bodied cigar. 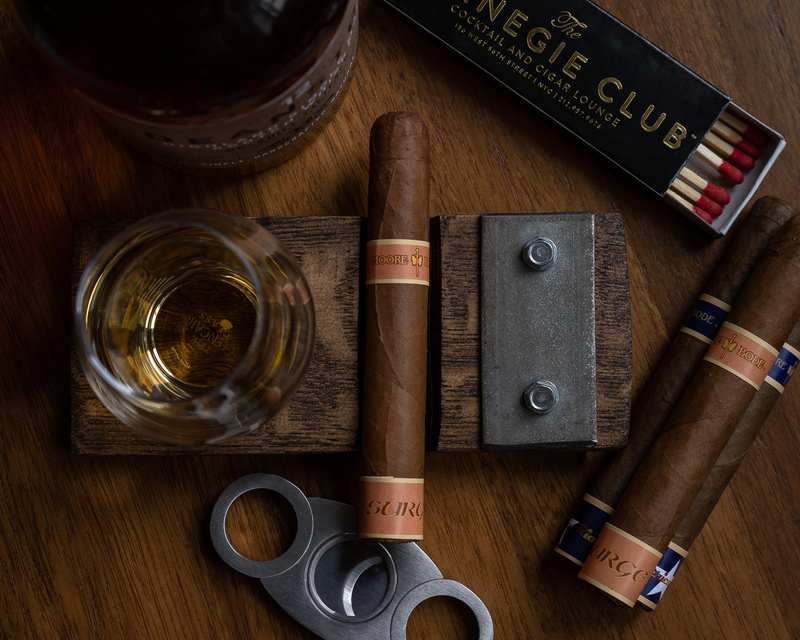 Draped in a Connecticut wrapper, the cigar gives the appearance of a more subtle smoke and would seem quite inviting to the novice cigar enthusiast. However the proof is in the smoking so let’s light it up! The Fonseca Lonsdale has a very pale almost anemic looking wrapper. It is smooth to the touch with slight veins and a few soft spots when pressed. The cigar is well constructed and the roll is effortless. The band is the traditional Fonseca “F” which is synonymous with the brand. As with all of the Fonseca lines I have smoked, the appearance and care in the rolling makes this a premium cigar. After using a straight cut, the dry draw is loose and flavors of hay and tea are prevalent. As soon as I light the cigar, lots of tea came through with a good amount of smoke. The first few puffs transitioned from tea to leather with a short finish. Overall, the Fonseca Connecticut starts out as predicted in the light bodied range. A few puffs later, clotted cream envelopes the palate, though the quickness with which it dissipated is disappointing. 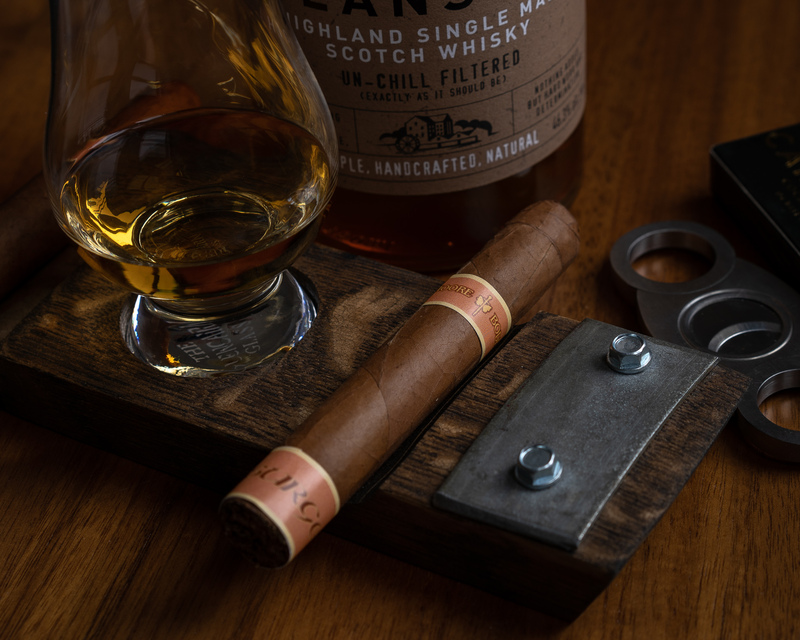 Hay and leather blend together with a billowing of smoke as the cigar continues to develop, with the retrohale displaying hay and grass notes. At about halfway through the Fonseca Connecticut, nuttiness with an emphasis on cashews comes on strong with a creamy finish. I find this flavor profile quite enjoyable, but it doesn’t last. The buildup of the cigar becomes a tad green and bitter which is never welcome to the taste buds. The cigars burn is straight with a whitish gray ash. While the cigar rounds out forest floor and tanned leather are front and center revitalizing my palate. The final third of the Fonseca Connecticut sports a nice firm ash and ample amounts of smoke. I pick up lots of bing cherry upfront with pencil lead on the finish. Another retrohale which ramps up in intensity enhances the cherry notes. As the cigar comes to an end, the finish is of café au lait lingering on the palate. A mild, predictable smoke. While I do enjoy a mild bodied cigar from time to time, I usually expect a little more flavor and complexity out of a great cigar. The Fonseca Connecticut Lonsdale delivers a consistent light bodied experience, but the flavors are less than harmonious and the green notes were unsettling. I’m always wary of such a pale wrapper as it makes me suspect on the amount of aging and proper fermentation techniques applied. Having said that the tea and leather notes where pleasant, and when the finish was creamy, it was quite enjoyable. I’d probably recommend this cigar out on the golf course as it’s not overwhelming or perhaps on the porch with some coffee or espresso. As a man known for his blending skills and distinct lines, Manuel Quesada has put his mark of quality on the Fonesca brand. The incarnation of the Fonseca Cubano Limitado seeks to deliver a medium to full bodied smoke with balance and complexity. Manuel has a talent for producing many cigar lines yet at the same time giving each one a distinct flavor profile. In keeping yields and production low, the end result usually delivers a satisfying experience. Let’s find out if Cubano Limitado achieves a similar result. The Fonseca Cubano Limitado robusto comes wrapped in a gorgeous dark chocolate wrapper. It’s silky to the touch with minimal veins. Squeezing the cigar, I get a firm feeling that lets me know this smoke is packed full of tobacco. It’s expertly rolled and the quality visually is excellent. The cigar’s band has the traditional gold and red with the Fonesca “F,” along with a secondary band that is black and gold with the words “Cubano Limitado” and then “Fonseca” right underneath. Using a straight cut, I take a dry draw on the Fonesca Limatado and the taste of cedar is present along with a bit of salinity from the wrapper. As I light the cigar and take the first few puffs, black pepper hits me straight away along with spice on the tongue. The saltiness from the wrapper returns with an leathery finish as the cigar becomes fully lit. A quick retrohale brings spices to the nostrils and a creamy finish on the palate. A fair bit into the cigar, the Fonseca Cubano Limitado develops a nice grey ash with a straight burn line that shows off its quality in the roll as well as the fine tobacco utilized. The saltiness is ever present on the palate, while earth and cashew cascades around the mouth. At midway, I’m greeted by a dusting of cocoa powder and a slight nuttiness on the mid palate. Overall thus far, the blend has stayed on the medium to full range without overwhelming the senses. In the final third, the salt and earth combination transitions to cedar and hay. Body-wise, the cigar is now at solid medium, with toasted oak and cocoa resonating on the palate. The finish is bitter despite my smoking the cigar slowly. In the last few puffs, the salinity hangs on with bitterness lingering on the palate, providing a good opportunity to put the cigar down. The Fonseca Limitado Robusto did indeed stay within the medium to full bodied range as what was intended by its creator. The salinity—which I usually enjoy in a cigar—overwhelmed the other flavors at times. The development of flavors from pepper, leather and spice to earthiness, nuts and cocoa was pleasant towards the midway point, but the last third hurt the cigar with the constant bitterness on the finish. While the balance from medium to full body was there, the final puffs of the Fonesca were not as pleasing. Overall a pleasant smoke to start, but I would caution to smoke it as slow as possible in the hopes of not having the Fonesca burn hot, thus hurting the flavors.